We woke up at 4:30 this morning to get a headstart on the day, and to make sure we were at West Point Lake when the sun came up. The kids jumped out of bed as soon as I woke them up, and we were all in the truck, on our way by 5:00 am. 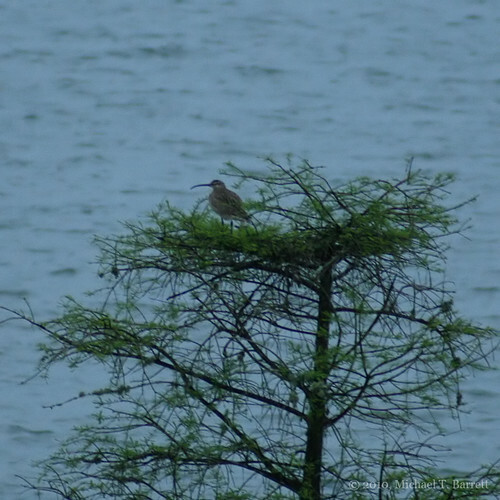 The trip to West Point was a good one, as JM spotted a Whimbrel sitting in a tree on the beach next to the Dam. The Whimbrel is a coastal bird which breeds across much of subarctic North America, Europe, and Asia. It migrates in the winter to coasts in Africa, South America, Australia and southern parts of North America. They don’t normal make a stopover in inland lakes, let alone one as far inland as West Point Lake here in Georgia. The boys did great all day, as we traveled from West Point Lake to the Newman Wetland Center and the E.L. Huie ponds, to the Piedmont National Wildlife Refuge, and Jackson Lake. We arrived at the finish line, the Charlie Elliott Wildlife Center, about an hour and a half early, so we took the opportunity to bird the grounds there and they added eight more species to their list before we turned it in before 5:00 pm. The highlight of the night, for JM, was meeting his birding “hero”, Giff Beaton, the author of “Birding Georgia”. Giff signed his book, and was excited to see the photos of the Whimbrel JM spotted at West Point. At one point, Giff stole my camera! Well, he didn’t really steal it, but he took off with it to show other people. 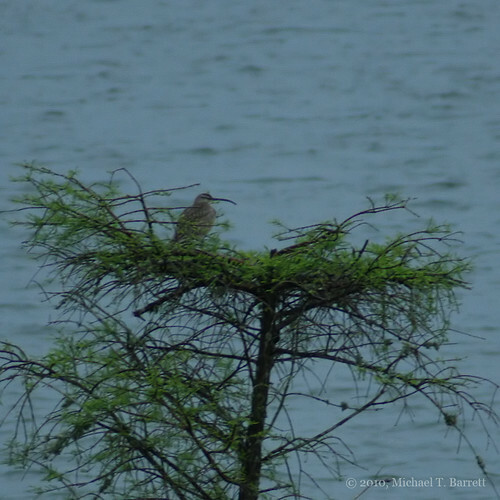 This was only the fifth time that a Whimbrel had been spotted inland in the state of Georgia, and it was the furthest inland too. It was a great find, in fact, for all of us, it was the find of the day. After everyone checked in we got to eat dinner! Lasagna, macaroni and cheese, chicken fingers, salad, potato skins, broccoli and cheese, dinner rolls, cookies, cheesecake, iced tea and lemonade. It was awesome! As everyone finished dinner we got to see a reptile show and then they handed out prizes. Our boys, known as Team Swift in the competition, turned in a bird list containing 94 species of birds. They finished in second place for their division, and they each won a pair of Eagle Optics Binoculars. The Youth Birding Competition was an awesome experience, for our kids as well as ourselves. I was stunned at the number of kids who are really into birding, and I was equally as stunned by the tremendous job that Tim Keyes and his team of people did to pull off such a wildly successful event. After I decompress, I hope to post more photos of the birds we saw. When I post them, I will put them on my flickr page, of course.